Young man in casuals standing on grey background. Young man in casuals standing with arms crossed looking down. 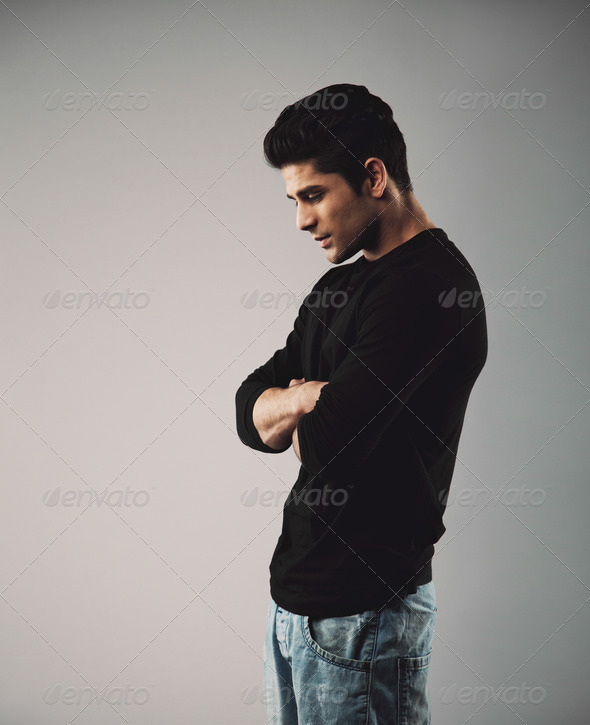 Male model on grey background.